A toxicology report for the death of Anthony Bourdain revealed that he had no narcotics in his system at the time of his death earlier this month. Bourdain, 61, was found dead in a French hotel room earlier in June. Officials in France ruled it a suicide at the time. There were questions whether the celebrity chef, author, and CNN host had drugs in his system at the time of his death. He was filming an upcoming episode of “Parts Unknown” on CNN when chef Eric Ripert discovered him unresponsive. The New York Times, quoting a French judicial official, reported that there was only a “trace of a nonnarcotic medicine in a therapeutic dose” in his system. 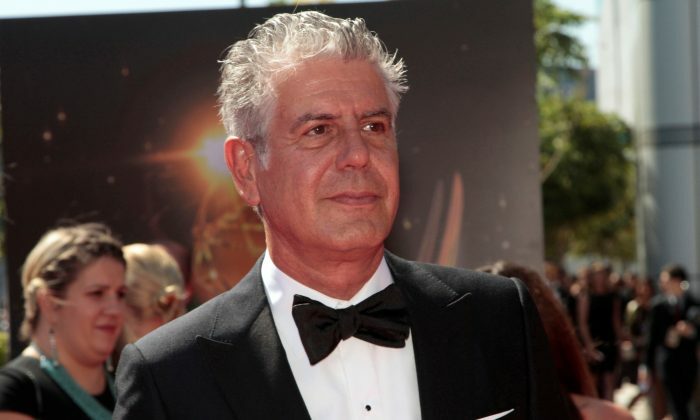 Bourdain had been open about his use of drugs in the past, saying that in the 1980s, he struggled with serious drug problems. He told the New Yorker magazine that, at one point, he sold his carpet and got paint chips and smoke them, hoping they were crack cocaine. In the early 90s, he got clean. He, however, said that he would drink alcohol. French prosecutor Christian de Rocquigney de Fayel told People magazine that there was no evidence of foul play in his death. “Nothing suggested the involvement of a third person,” Rocquigny said. A medical expert did not find any signs of violence on Bourdain’s body. Since his death, his mother, ex-wife, and girlfriend have opened up. If you’re in an emergency in the US or Canada, please call 911. You can call the National Suicide Prevention Lifeline on 1-800-273-8255. Young people can call the Kids Help Phone on 1-800-668-6868.